Campers returning to some of our parks, including Lighthouse and Wagener, for the 2015 season may perceive an increase in the amount of “openness” at the parks. We’re not talking about attitude here, it’s just that a number of trees have been cut down over the off-season by the Huron County Road Commission and the contractors they have hired for the job. 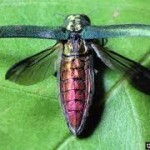 As part of a situation occurring in several different parts of North America, an extremely invasive insect, the East Asia Emerald Ash Borer Beetle has been destroying trees. The problem has led to destruction of a vast number of Ash trees in Michigan for more than 13 years. First seen in the Detroit area, the pests have devoured and destroyed upwards of 15 million ash trees just in the southeastern section of the Wolverine State. In Huron County, besides the approximately 500 Ash trees removed from Lighthouse Park, an equal number have been felled at Wagener Park. Near one thousand trees have had to be cut down between the two parks (Lighthouse and Wagener) at a cost of what might be greater than $20,000. The felled ash trees will be cut into firewood, for the campers at all of the County parks. In addition, the Road Commission is planning to have the parks replanted with trees with the design assistance of an arborist. In fact, reforestation has begun already, slowly but surely. 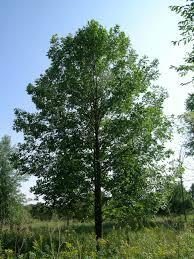 ReLeaf Michigan is a nonprofit organization that sees to the planting and replanting of trees all over Michigan. They have already planted 2 Northwood Maples, 2 Fiesta Sugar Maples and 1 American Linden in Lighthouse Park. This replanting effort was funded by the DTE Energy Foundation. DTE tells us they invest about $250,000.00 each year for the purpose of having ReLeaf Michigan plant 5-6 trees that spring in the eleven counties in Michigan where DTE sells electricity.